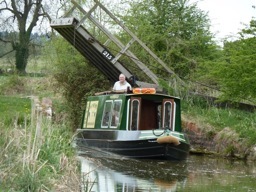 The steelwork was built by J L Pinder & Son at Stoke Prior, with fitting out by Oxfordshire Narrowboats. 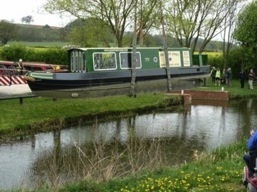 The Three Shires had to be moved along the Oxford Canal from the builders boatyard at Lower Heyford to Kidlington (the location of transfer to road transport), which involved a cruise of 8 miles with 5 locks. 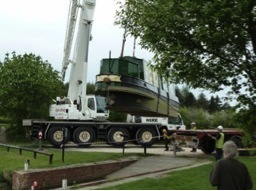 Craning out, subsequent transport by road and launching again by crane at Denton was carefully planned. 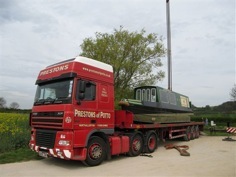 She arrived on schedule just before 1pm on Wednesday 28th April 2010 and was gently lowered into the Grantham Canal for the first time. 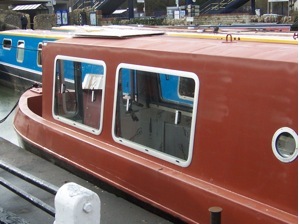 The Grantham Canal Society is indebted to everyone who made the purchase of The Three Shires possible. 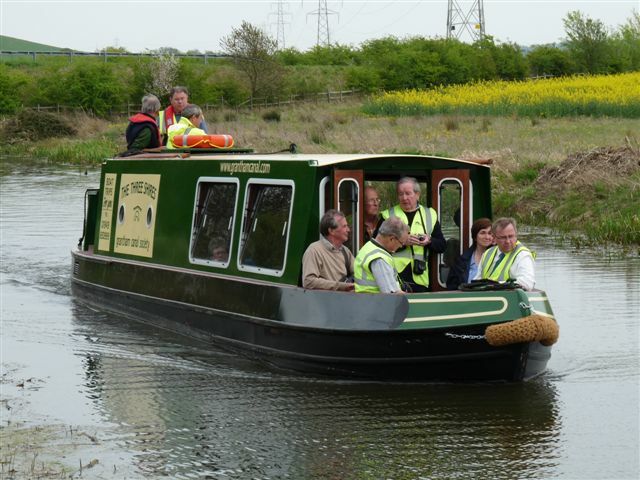 In particular, our thanks go to Lincolnshire County Council and the then Chairman of the Grantham Canal Partnership, Tony Wilkinson. The cost of moving, launching and equipping The Three Shires was kindly covered by many donations from supporters, for which the Society is extremely grateful.